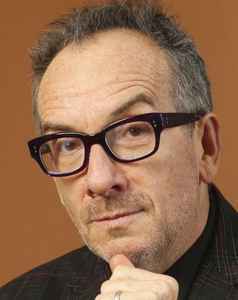 Elvis Costello (born 25 August, 1954, Liverpool, England) is an English musician, singer-songwriter, and record producer. He has been married to Diana Krall since 2003. Most of his early works have been published as part of the group Elvis Costello & The Attractions.